The source for this information is from the book “Pere Lamy” by Comte Paul Biver, translated from the French by Monsignor John O'connor, 1973, Tan Books and Publishers, availible by clicking here. The author Comte (Count) Paul Biver was a very close friend of Pere Lamy. He conducted numerous informal interviews of Pere Lamy in his house not long before his death in 1931 (in fact, he died in the house of the author on Dec 1, 1931). These interviews are contained in this extraordinary saintly biography full of spiritual inspiration. 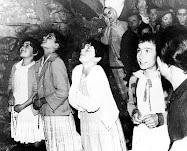 Concerning Pere Lamy his bishop said- “I have in my diocese another Cure of Ars.” This holy priest had visions of the past and of the future, of Our Lord, the Blessed Mother, St. Joseph, the Angels -even lucifer. 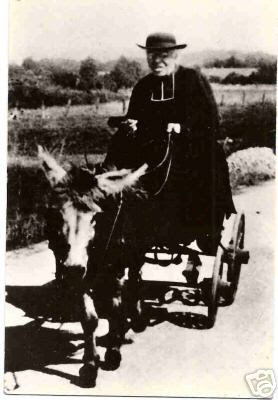 He founded the Religious Congregation of the Servants of Jesus and Mary, built a Chapel to our Lady of the Woodlands, cared for countless wounded soldiers and sick people during World War I, was called the Priest of the “ragpickers” and hooligans for having directed a Youth Movement and cared for countles street boys in Troyes and La Courneuve and was a Parish Priest for over 30 years. The many accomplishments of his life are an amazing proof to us of what one priest can do. Profound and enlightening are his statements on religious subjects. 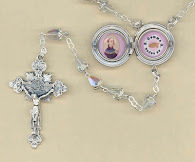 He said the Rosary almost continually, slept but one or two hours a night, could smell sin even through a penitent's perfume, conversed regularly with his guardian angel, effected miracles and made prophecies. Jean Edouard Lamy was born on June 23,1853 at Le Pailly, France. 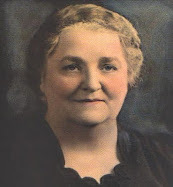 His father Jean Fredrick was a farmer and also a masonry worker, and his mother Marie Janinel was a diligent and loving housewife. 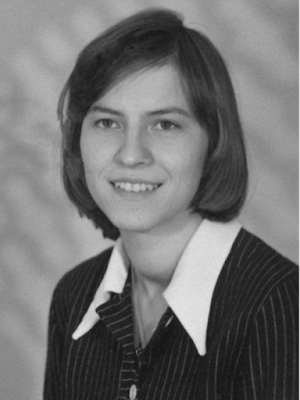 About his childhood, his sister, Mrs.Vauthelin testifies- “My brother and I slept in the same room from our earliest years, and our parents only lodged us apart when I was 12 years and he was 15. From the moment that I began to observe things about me, until I was 12 years old, I have never once seen him in his bed. He was all night praying, kneeling on his stool without support, before the statue of Mary Immaculate. She was set upon the chimney piece and lit by a little lamp which he had got from our mother. I never once woke without seeing him in this attitude. Never for years have I seen his bed unmade. Perhaps he lay down one time or another, I could not swear to it, but I never once saw him lie down. Our mother noticed it from time to time and used to say to him- ‘But, my child, the Blessed Virgin does not ask as much as that.' And yet, we were working hard, he and I, during the day time. Twice a week we used to go together to sell our stuff at the market at Langres (6 miles distant), loaded up to the limit; and he working in the fields from morning till night, and he even broke stones on the high road." “….It was in 1863, the vigil of St. John the Baptist; a Saturday, I believe. I was at Buisson de la Plaine. I was minding my parents' cows and also minding the cows with me was Anne Richard. I said, ‘Look there, Annette, the lovely lamb on the hill.’ The lamb was on Le Cognelot, there to the right of Noidant on the bald part of the mountain (about 2 miles away), lighting up the whole hill. He was standing up, holding in his left foot the standard cross bent towards Chalindrey, and a white pennant floating from it. His head was turned towards Le Pailly. You could see his eyes perfectly. It was a very fine lamb. Distance makes no difference to these things, and when you are a child nothing surprises you unduly. Nannette said it was a bad sign. Why? I don't know at all, and so I told her it wasn't a bad sign. He gazed at us for a while and then suddenly disappeared. The sky had darkened and lightning was beginning. I said, ‘I am bringing home my cows.' "
“As for the Blessed Virgin, She appeared to me with Her hands like those in the Immaculate Conception…..I had a little statue of Our Lady of The Crypt, at Chartres (The Virgin of the underground chapel in Chartres Cathedral), of whom the Druids told a prophetic legend centuries before the Christian era. I was making a little procession under the line of poplar trees, holding my statue like this (he lifted both hands the height of his forehead, with an imaginary image between thumb and index). I sang Her Litanies. She showed Herself to me among the branches of the poplars, almost at the top, very high up, Her head bent, gazing at me. There were very tall poplars there, nicely aligned. She stayed there the whole time of the Litany. She withdrew a little, but I kept on my road. The more I advanced the more She seemed to retreat. She returned, and I finished my Litany. She then rose a little above the branches and at once disappeared. " In 1875, John Edward Lamy was trained as a soldier in the 91st Regiment of Infantry; he was promoted corporal on November 10, 1876, and sergeant on March 4, 1878. He was demobolized 7th October that year. "I lived at Mezieres with the other soldiers. We had sixty Christian soldiers. We had formed [it was he that founded] a group, the Legion of St. Maurice. We kept together well and recruited some good young fellows. Three times a week there was a meeting of the Legion; prayer and spiritual reading; they were picked fellows. 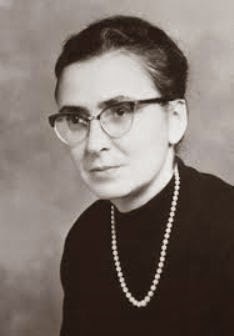 We had a chaplain, the Abbe Henri Nicole, who is a canon of Rheims. There were 80 Haut-Marnais in that regiment, and the greater part of them were good." "At the camp of Chilons,in 1875, I was sick, or at least, tired out. During these heavy manoeuvres we had, every day, two hours rest. We were bound to stay in barracks and lie flat on the bed. I used that time to recite the Little Office. Often, overcome by fatigue, I used to fall asleep before even reciting one psalm, and always when they sounded the end of rest, my fingers were at the last verse of the book. 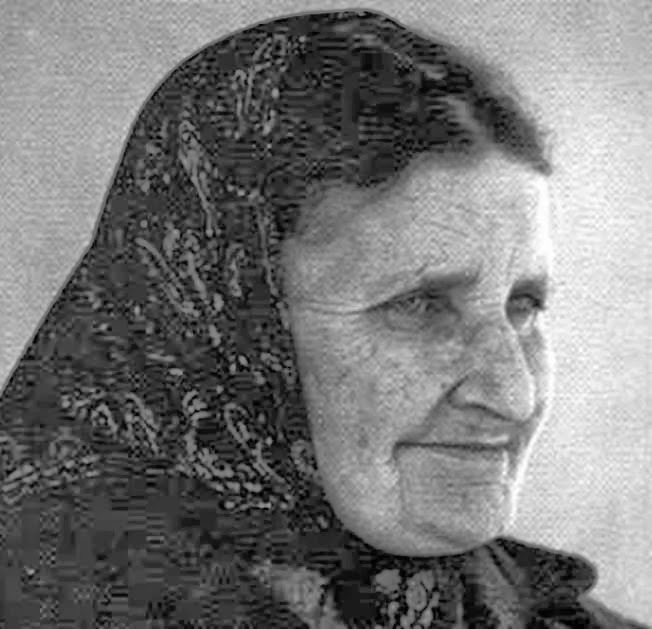 The Blessed Virgin (at Gray in 1909 [see below]) told me that She came to me in the camp at Chalons in 1875. She turned the pages, She told me, and put back my fingers in the last page. Subdued as I was, I thought that I had said the Office and then I took my rest. That was what She wanted in Her motherly goodness." During his military service the powder charge of a comrade's rifle exploded in his right eye. He never complained but he lost his sight on that side. Later in life, he progressively developed severe cataracts in his left eye, causing him complete blindness for 3 years, until a successful operation partially restored his vision in his left eye. 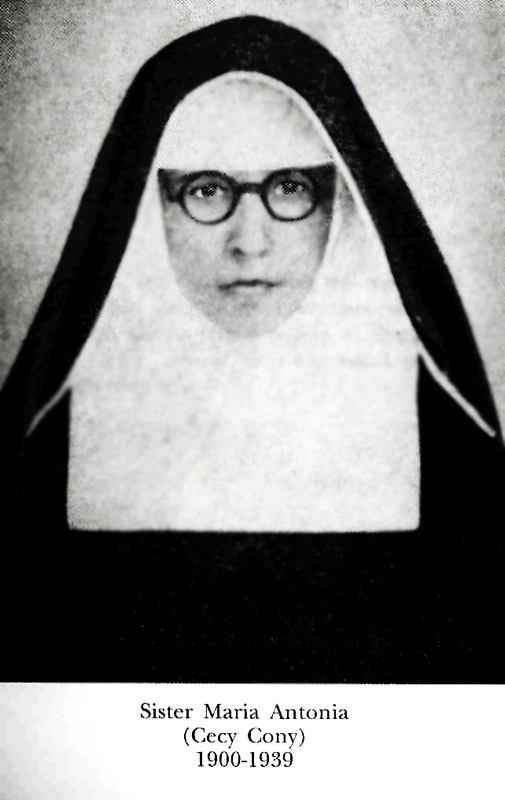 He once asked the Blessed Virgin why she never cured his eyesight. She told him it was better for him to be that way, so as to keep him humble. “I had always wanted to be a priest and now could not imagine how it could be done. I did not think I had the necessary qualifications. I was in despair and was going to give up. It was then St. Joseph appeared to me. He fixed my vocation. It was at Troyes in the Chapel of Our Lady of Good Hope, in the early days of March. He spoke with me quite a long time and pointed out my vocation. He said: ‘Be a priest; become a good priest.' That does not mean to say that I did, but I strained every effort to come to that point. ‘Be a priest.' He was very urgent, with a very firm tone, putting out his hand as if to swear. It was in the evening. The young people had just gone. I closed the door and went into the chapel for a few minutes for a moment of recollection. In the daytime it was very hard for me to do that. It was 11:00 o'clock at night, or later than 10:20pm. In the chapel there was a gas-jet [heater] turned low, which had been lighted earlier for prayers. I was kneeling at the kneeler in front of the first pillar in the right aisle. St. Joseph appeared standing on the floor beside the pillar. He was lit with his own light. The saint was in his glory; not in his great glory; in his milder glory. As I saw him, St. Joseph must be no more than 60 years of age. His beard was like his hair; he is not bald but going very grey. He wore a brown suit with something round the neck which folded down in front. He was clothed in a rough strong-looking material; I think he had a belt. The Blessed Virgin speaks of him as ‘my holy husband' and the word ‘holy' in Her mouth is something to remark. St. Joseph showed himself to me barefoot like the Blessed Virgin and Our Lord do always. A short while after this, I received Minor Orders (March 1st, 1885). It was St. Joseph who foretold me my departure from Troyes without giving me any details." "This was the 9th September, 1909. I had come [to Grey] nearly every year, and the Parish Priest of Violot was with me. They gave me handsome vestments put out for a prelate who was to come and who didn't arrive. I began my Mass. The Abbe Lemoine was in the interior of the chapel to the right, on the kneeler which is still there. The Blessed Virgin appeared to me suddenly, and at the same time the devil. It caused me violent emotion. I was in great doubt but I did not dare to believe because of my unworthiness, that I was facing the Most Blessed. It was so much beyond me. The Blessed Virgin came down from the ceiling, throned in great glory, so gently, so gently. She was as if in a furnace of light. 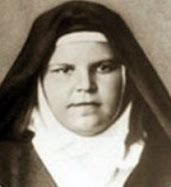 Her glory went through everything gradually. The candles, the chalice, the altar vestments and myself, like the sun going through water. How far did the glory reach? You need to know what the glory of God is, when you think of what He gives to the dearest of His creatures. It was just like a sun. I never saw the end of it. She came down from the ceiling like that, with Her hands joined. She wore a little smile before letting Her voice be heard. When She uncrossed Her hands, it seemed to make an eddy around Her." Then, as if She were questioning him, 'You know how to obey the Father?' He gave no answer but I felt crushed. She extinguished Her glory. The lesser glory never left Her during all the Mass. I still stayed at the Dominus Vobiscum. Had I dared, I would have fled into the vestry, if I had not been at the altar. When I looked at the Parish Priest of Violot, he put his two hands over his face and his face in his book, and leaned his whole weight on the kneeler. I kept saying, ‘I shall be well defended.' She talked. She asked me questions. I did not dare to answer. She stood upright. She was of middle height. With the movement that She made, there was like a little storm of glittering spangles. Her crown only appeared when She stood up. Her feet were just about the height of those chairs. She stayed a little above the ground. With the right hand, She signed to me very maternally, 'Go on,' to give me back my courage. I said within myself, ‘If you are the Blessed Virgin, show me.' She said: 'I am the Mother of God.' When She said, • I am the Mother of God,' very gently, I seemed to melt away within. I did not doubt the word of the Mother of God. I believed Her, but She came in poor company (the fiend)." 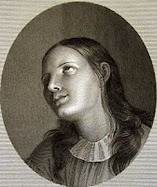 "When I commemorated the martyrdom of St. Gorgonius She smiled gently. It was the prayer of Her Nativity. At the ut quibus beatae Virginis, I bowed to Her. She bowed to me, very graciously. What humility, even in Heaven 1 And for me, a mountebank of the umpteenth class 1 I saw Her reflection in the glass before me in the altar-card. The interview went on, and so as not to cause too long a break, She signed to me to read the Epistle." “The little altar server said: 'Is it the Blessed Virgin, Father? ' as he took the book from the Epistle side to the Gospel side. I said to him, low, e Don't talk, you will make Her go away,' She looked on him with motherly tenderness. She stayed aside to let him pass and took Her place again at the middle of the altar. When I said the Munda cor meum, She left the middle of the altar and went to the Gospel side." " After the Gospel, the priest comes back to say the Credo. She took her place again at the side of the priest, almost in front of the book. She let him begin the Credo; at the Incarnatus est, She bowed as if to say, 'That is so.' 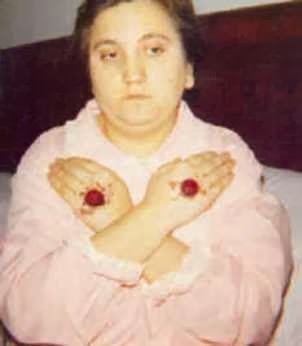 At the Sub Pontio Pilato, She put forward Her closed hands upon the altar, clencing Her fists in a gesture of mighty sorrow. Her arms were just beside me (and he showed a distance of five inches). I was so upset that I made a mistake. I muddled things. When She saw that I wasn't getting over it, She went on with the Credo as if She were saying the Mass. My mistake had given me such a shock. She put me back where I stopped, very gently. 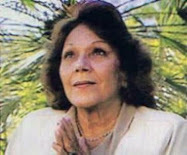 (And, smiling, he said): She knows Her prayers well." "At the Memento, She recommended the priest to ask more. There is great store, and still greater to be given." "The Blessed Virgin foretold the War. She spoke to me very maternally, about my childhood, founded the pilgrimage of Our Lady of the Woodland; told me She wanted a new congregation. With great energy She condemned modernism, treated of several different matters, defending me from Lucifer." "She was dressed in a deep blue gown, with Her white veil, the sleeves gathered in at the wrists, and bare feet. The neckline of Her dress is just below the chin. The gown is ample and quite simple. But anything She wore would be equally becoming. Her proportions are perfect. Everything in Her is perfect. Her eyes are very changeable; they can take all the colours, but there is one settled colour all the same. When She lived on earth they were neither brown nor altogether blue. Rather periwinkle. Her ears are visible. So is the start of the hair on the forehead. In the same way you can see the plaits of hair at the side. The only statue resembling her in the least is the one (Rue du Bac, above the entrance door of the Ladies of Charity), where She is giving an audience to Catherine Laboure, That has the face, just as long, but She has not that forehead. She looks too young in that statue, and yet you cannot make Her old. I have never been able to tell Her age. The Virgin is very dark. (' I am black, but comely.') Her demeanour is very simple. She seldom inclines Her head but looks you straight in the face, just like Her Divine Son, but you feel that beyond, how Their gaze pierces into the entire world." "When the Blessed Virgin speaks as a mother, She wears a crown made from a spray of roses, of lilies, and of daisies, with a silver band, quite narrow, at a third of the height. These flowery sprays are arranged like the fingers; a white rose, almost open, a single lily, almost open, and a daisy. Naturally, these flowers often repeated, form a circle. As for the green branches at the base of the crown, they are very sober in colour. It is a bell-shaped crown. You could pass your hand between Her crown and the veil on Her head. But when She condemned modernism, She wore a crown of matchless beauty. If the crown of flowers can be copied, the other one, the great one, cannot be even dreamed. It is made up of clusters of jewels and light. The jewels are very fine, small for the most part and a few large. They are harmoniously arranged like the grains in a ear of corn, with sparkling lights inset between the stones and throwing them into relief. There are blue stones, some red, some violet but less numerous than the blue. Amongst the most beautiful are the pale blue stones. I am almost sorry I didn't ask Her for one. Of those stones, some hang and others cluster. There is quite a play of lights, some outside and some inside the crown. It is like a diadem, rising in the middle. All that I have seen in the museum look like cobble work beside a finely finished shoe. There is no crown on earth like that. She wears it when She speaks as a sovereign Lady. She is majestic. She wore it without the glory, or else She would be frightening and She does not come to frighten." 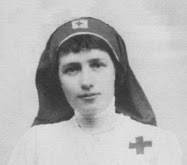 "After the Credo, She spoke of the War in very sorrowful tones. 'It will be slow to kindle. It will set all Europe on fire. It will set the world on fire. 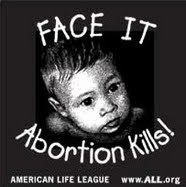 There will be about five millions killed, but (turning towards Lucifer) I shall save many in spite of you.' The fiend said, ' They'll pass through the gorge of the Vosges.' The Blessed Virgin, 'No, no, they will pass through Belgium.' Satan said, ' They are just as guilty on one side as the other.' Satan understands guilt very well. The Blessed Virgin half turned towards me and the bottom half of the church filled with a white cloud which opened. The wall disappeared and then I saw there a town with a mighty river. I think it is Belgrade. I saw the pictures of the War. I had a curious sensation. I felt quite well that I was in the church, but I was also transported far away. I cannot exactly reckon the thing up. I have perfectly reckoned up the favour the Blessed Virgin was doing me by showing me those countries. She brought me through an immense landscape. I am giving you very incomplete explanations but I cannot find words for these things. I saw ships of war with enormous funnels. I saw the landscapes, but later on I took awful trouble to place them and that wasn't possible at all. You see the great rivers, mountains, sea. How place them on the maps? All is not over. There are scenes which I did not see unfold. The best for you just now is to keep quiet." "The Priest recommended his Parish to the Blessed Virgin. The Blessed Virgin protected it in a special way during the War, especially on the day of the explosion. She looked at me very steadily; 'While he is alive, the Germans will not pass this way-at Le Pailly.' After a little silence She added, 'Even after his death. That is his cradle, the village where he was born. J shall be the Proteetoress of those lands! ' Just then the pictures of the War left off and the wood came on the scene. They have nothing in those countries, nothing ….no pilgrimage. Lucifer said to Her, ‘You are already called Our Lady of Lourdes; you are going to call yourself Our Lady of the Woodlands.' She turned Her head lightly. I followed the direction and She showed me a shanty. I saw the shanty, I saw the little statue; perhaps She shows it because of its gestures. The Virgin (it is awkward and badly done) spreads Her cloak to protect us and the Child is blessing the earth on which there is no cross. Just at this moment, She stood aside a bit to let the boy with the book pass." “I had not been to the Bois Guyotte for many years but I recognised it at once. I saw it twenty-five miles away as if I were in it. The wood was being cut way altogether. At Gray I saw the forest all in disorder and I saw people in the wood, cross-cut saws squaring the tree trunks, perhaps more than a hundred persons. There were horses, harnesses. I could hear carters swearing under the eyes of the Blessed Virgin, and they did not check themselves. The wood was in a lamentable condition, trees cut down, stripped, branches everywhere hanging down to the ground. It was in September and the wood was already turning russet. The house was shown to me just as it is, but in a lamentable condition. Still there were a good few panes of glass left but these had all gone when I bought it. There were great slabs of plaster fallen down. There was no sanctuary naturally. I saw it close up. Just at that time, the chapel, which had formerly been a hunting-lodge, had become a woodman's shelter. Of the other hut which I had known near the well, there remained one post." "I will not say anything much of what was told to me concerning the monasteries. She spoke to me a long time about the community at Gray. She visits the communities. She told me so. She visits them. She taught the holy Women Herself. She had grouped the holy women, the widows, and she had them with Her. She was with Her apostles. The scattering of the congregations were a punishment rather for the people than for individuals. She showed me all the monasteries in France in times past and times to come, with their inmates. I saw Clairvaux.' and Pere Lamy sketched a complete picture of this ideal monastery in the heroic time of St. Bernard, with its blessed Abbot and its monks, whom he described one by one. He spoke also of the future religious of Grossesauve re-populated. As I knew the district well, my attention was focussed on the priory. I remarked how the ancient building was made and I saw the monks that lived in centuries gone by. They were shown to me in procession, two by two and four by four, with their heads down. They went into the three hundreds. The desert shall again be peopled and I saw buildings that are to be." 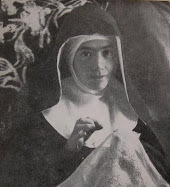 “Later on, when Madame Caillier asked me to pray for Remiremont, I found the very place when I found myself with Her [the Blessed Virgin] in front of the Holy Mount. I picked out Remiremont from the many landscapes which I saw then. I saw many of those abbeys. They died out gradually under commendatory abbots. The monks were not numerous, only enough to till the ground, and the revenue was very small. I have seen white monks, brown monks and black. I don't want to say how touched I was by that. What interested me was to see the congregation bud and grow. I shall be a foundation stone. The monasteries will flourish again, the convents will fill up again After these calamities, souls in great numbers will come and dwell in them again." 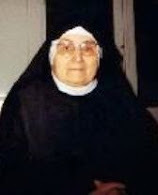 “She talked to me and gave me a plan of my own daily life, up to and including the Sub tuum at the end of evening prayer which was not always recited well. She reminded me of the sabbatine privilege. ‘You must do what is laid down.' She is very strict on respect for the Pope's orders. She went over my whole life. The Blessed Virgin explained to me all my childhood. She said that without Her I would have been killed a hundred times, when I was doing antics in the pear tree. The pear tree was in the fruit garden of my father and mother on the other side of the road from their house where the barn is. Then how She had saved my life when I had typhoid fever. Neither the doctor nor my mother knew what it was. It was cured in one day by toast and water. Then She spoke to me of the burning down of our house. She told me who lit the fire. It had brought my family to the greatest wretchedness. My outfit was already in the making for me to go to the little seminary. I was 19 years old and the fire made me put it off. I could only go after my military service. She said, ‘I wanted him a priest; you see, he is a priest." 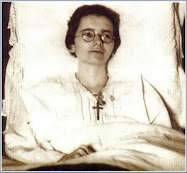 “She also spoke to me about the miraculous medal. She spoke about a plaster statue that was made in the likeness of the medal which someone had given me a long time ago. In my childish faith I thought I was doing something wonderful painting that statue; a veritable daub. I had painted the Blessed Virgin white, Her cloak blue, Her veil white. In some wild notion, I had painted the girdle yellow. ‘He thought to give me a yellow girdle,' She said, ‘it was ugly, very ugly,' laughing very heartily, ‘but I liked the intention.' I was 8 years old or a little less. That statue was burned in the fire. The Holy Mother said, ‘For a moment, I meant to save that statue, but there was no need.' I went looking for that statue in the remains of the fire and I gathered up bits in my hat. I carried that rubbish to the new house and I buried it at the root of the black currant bush. The Blessed Virgin added, ‘He put them in his hat.' and the She said to Satan "Just then you wanted to kill him, throwing down the rest of the chimney, but I withheld the blow." As a matter of fact, that statue (of the Blessed Virgin Mary) was set on the mantle of the chimney. See how the Blessed Virgin watches over us! She once said "He would very much like me to cure him, but I will not do so, because it keeps him humble". She said this while looking at my glasses which I had placed on the altar. By then my eyesight was already quite bad. I have not told you a tenth of what I saw. There are many things that I cannot set down. There are things it would not be good to say even forty years hence. And then the present time is perhaps the least favorable that ever was for revelation. I don't speak for fervent Catholics; those simply do not need revelation." Pere Lamy used to say his Mass with an extraordinary fervour, which almost transfigured him. That was the time when Divine favours were often granted him, in a sensible fashion; the time also when Christ showed Himself most frequently to His servant. “In celebrating Mass one is cut away from all earthly thoughts. You only get back to earth at the Memento. Those are the two moments in which you set out before God all that touches us on the human side. Then you come back a little to yourself." “I generally see the Sacred Species surrounded with light. You feel a sweetness, a gentleness out of the ordinary. Yes, at such moments, you think no more of the earth; you feel something so heavenly I It is the effect of the presence of Our Lord. I also feel the presence of the holy angels who help me at Mass, but not every time." "Do not ask me what man or woman is at the service when the Blessed Sacrament is on the altar. I no longer see anyone. I quite discern there are people about. I saw quite well that it was the curate who handed me the monstrance. How poorly we receive Our Lord! You should say to Him, ‘You are received in a stable on rough straw, but both you and Your Mother were put up in a stable at Bethlehem.' Fortunately, She is there to receive Him. Neither He nor His holy Mother is hard to please." "Our Lord comes generally alone, whether He shows Himself suffering, or risen in glory, or whether He shares, and in some sort celebrates, the Mass. You feel small, small, small • • . and Our Lord makes Himself small so as not to frighten us by His greatness. And the attention is so concentrated on Him that you think of nothing else." “He follows the prayers at Mass as if He were assisting at Mass. He lets you do the praying." "He disappears at the third of the last prayers, so that the priest can communicate." "Very rarely He has an aureole; you could not bear the glory of Our Lord. He is generally preceded by red clouds. I call them that colour because I cannot find the right word. They are neither brown nor purple. A white light appears, which opens out. Then He is there, quite simple. It is wondrous majesty. You never get used to it." "When Our Lord shows Himself in His sorrowful state, He has none of His habitual glory about Him. He is not luminous, as usual. He shows His Hands, when He speaks, He makes gestures, more sober than the Blessed Virgin. I have never seen Him smile. As a Child He smiles, but as a Man, He is no longer smiling. He appears cold; you might almost say sad. He has the dignity of a man. I find Our Lord very dignified. He inspires respect, true, but He also inspires confidence. His eyes are blue, His look very gentle. You feel when Our Lord is looking at you, but also how His look goes into the infinite. It is the same with the Blessed Virgin. Our Lord appears about 35 years of age. He is a man. Our Lord and the Blessed Virgin have quite straight noses; both He and His holy Mother have the real complexion of Their country, and so has St. Joseph. When I have seen a man from the East, I have recognised Their colour. In brown there are shades, as in black." "Our Lord's hair is dark auburn. His hair is fairly long, falling down as low as His shoulders. Some falls forward too, and Our Lord is enveloped, so to speak, in His hair, like that. He is not heavily bearded. You can make out the cleft of the chin here. The beard is not luxuriant, but handsome. It is lighter in colour than the hair; not red and not blonde, either. His hair does not come down over His forehead. His ears are visible. He has a very beautiful face. His voice is grave, not slow, but His gravity gives it a certain slowness." "Our Lord is not very tall. He is dressed in brown stuff, not the same as the Capuchins, but like brown sheep. His gown is brown with wide sleeves like ours (cloak sleeves) but in His sleeves you see the white underneath, and a cloak on His shoulders. The gown is thick, warm. It has large folds." 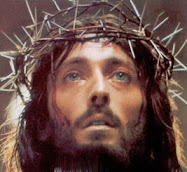 "I have never seen wounds in the head of Our Lord, but only those in the feet and hands. He shows Himself to me with hands and feet swollen and a little bit of flesh torn loose upon them. The nails must have been square, as long as your pencil. The heads of the nails were very wide and stamped a violet mark on the hand, or rather on the wrist. You can see the place of them clearly. The inside of the nail must be hollow, for it makes a ring in the inside. The feet are bluish, bleeding, and the hands also. What suffering I ... and Christians hunt enjoyment so I When in the green wood they do these things, what will be done in the dry ? " "I often touch His feet, which are between the chalice and the canon when He is standing upright on the altar during the Mass. I touch His side, and I feel the wound in His side and His ribs through His cloak, when I raise the Host. I stay and rest It against His side." 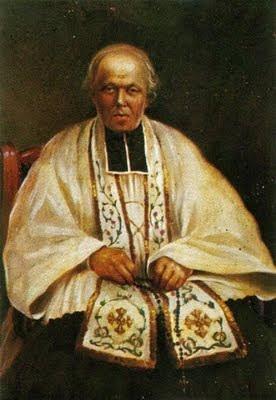 "It was at Mass at Gray when I saw Our Lord lying in the altar (9th September, 1909). Matter is no more for glorified bodies. He put himself at the level of the altar, lifting the corporal and the Sacred Host (He shows by a gesture that the body of Our Lord was in the altar, flush with the surface of the table). He said, ‘A year from now' ... I saw Him twice at Gray; the first time like that; the second time at Gray, 9th September, 1910, He was standing upright. The second time He spoke to me. Our Lord, being on the altar, was listening to my prayer. At La Courneuve, seeing that my slumming was absolutely in vain, and the more I work the less result I got, I complained to Our Lord. Every¬thing I did turned out wrong. My soul was sorrowful indeed. I set forth my pain to Our Lord. Placing the Sacred Host against His breast, I said, ‘It is evidently the result of my unworthiness. I ask You, my good God, to ask Your holy Mother to deign to tell You what I tell You. You are Her Son, and I also am Her son. You cannot hold out against Her prayer.' And through His mantle I could feel the shape of His ribs. I also felt a lively warmth which comforted me. Mter the Consecration, the devil was at the right hand of the altar; he said in a contemptuous voice: • Good Lord, what a prayer I ' At that moment, the altar was, as it were, on fire and Our Lord, turning His face from the fiend, answered him, • He is my Mother's Client. '-Nothing more.-There are details, but I leave them out." 'When Our Lord appeared lying in the altar, had the altar table disappeared ?" "The altar table remained. You see yourself in a paii of water. Matter, all the same, has no resistance, whether it is wood or stone. It is a very difficult thing to make understood. Matter does not cease to be so, but it lets itself be penetrated. When Our Lord passes behind the altar, the tabernacle disappears. The gaze rests upon His presence, but matter never interferes. Never have I seen the chalice disappear, nor the Sacred Host." “Our Lord told me that the War had three causes; Blasphemy, Sunday labour, and the desecration of marriage. When a young man or a young girl falls into sin, it is nothing in comparison. It is a grave sin, but after all it is human weakness." “Many priests, offering the Holy Sacrifice, do not take sufficient account of this. They do not understand how great is the power at one's disposal. How the sacrifice of Our Lord is of infinite value." By a special favour, Pere Lamy could feel when the soul for whom he was celebrating the Mass got profit from it. Whether it is a lessening of his pains in purgatory, or in Heaven by a momentary increase of glory…“ I said Mass for him ; it wasn't an arid Mass like sometimes, but I had great consolation. I don't say he is in Heaven; I know nothing. about that, but I have no doubt that he is in God's mercy." 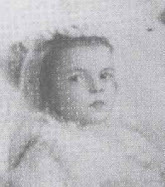 Pere Lamy saw Our Lord in the scenes of His Holy Childhood. At other times in the pains of His passion, but to the best of our knowledge he never described in detail more than two visions of Jesus Crucified, which came about in quite strange circumstances. “Out in the orchard it was given to me to see Our Lord on the cross. I saw Him while some boys were stealing my pears. I was actually running after them with a rake, saying: ‘I will show you.' Then, suddenly, there He was." “It was in the month of September during the holidays, on a Sunday …I cannot remember the year. I was at the Guild. I had the key and went into the property. I was keeping a watch on the fruit because I used to give it to the children. There was quite a band of thieves there. I lay down in the grass to hide because the grass was very high. As they came near I got up, seized a rake, and ran after them as fast as I could, brandishing the rake and shouting: ' You rascals, you wait!' I raised the rake though I did not intend to injure them. When I reached the wall by the road, there was Our Lord on the cross-about where you are now. The boys were overcome with amazement and so was I. Our Lord did not want me to strike the boys, and so He appeared. I heard them saying: 'Jesus, Jesus is there with the Cure.' No doubt, some of them saw Him, but they kept running all the same. I had had wire-netting put up, and those boys got out above and below the wire-netting, scratching out the earth with their hands like dogs or rabbits. They were from a revolutionary family, reds, and all that's reddest." “Our Lord was almost torn asunder. The arms were straight out, at right angles to the body. He had on His Head what looked like a bush of thorns, like a basket upside down. It was a hood of thorns. What an outrage I He had one foot nailed upon the other, I think, but it was His Face I was looking it. To make the crown they must have put several branches together and twisted them, and then hammered them in with cudgel blows. It was a mass of sharp points. He wore grey linen round His loins, knotted at the back, not at the side." “I could almost have touched His Feet, by lifting my hand. It was an apparition willed by Our Lord and not the scene of Calvary. On Calvary the cross was very high, and it was set in the earth and choked with stones. But in the apparition no hole was marked in the ground. The cross appeared near the outer corner of the orchard, facing me, with its back to the street. The boys were running away from me very fast, but after the apparition they ran faster." “On Holy Saturday, 1914 or 1915, I saw Jesus Christ Crucified, His cross was set against the altar on the Gospel side. The children were making a noise in church; it was near the time of the fair. I knocked on the wood of the altar to make them keep quiet (he made gestures with the left hand), and as I turned to the side I saw Our Lord on the cross. He seemed to say to me, 'You have hardly any patience, seewhat I endure.' Our Lord stayed during the Magnificat of the Holy Saturday Mass. He was alive. But He said nothing." “In Our Lord's case, it is so natural. Our Lord is always so natural. He hangs on the cross as if He were a child. Our Lord carries a bush of thorns on His head. I cannot say a crown of thorns; it is a real bush. His head is covered with them. That head-dress keeps Him from resting His head backward against the wood or leaning it against His shoulder and His head is not inclined very much forward. When He dies, His head bows forward. They pulled His arms like wild beasts; they knew how to inflict suffering. His arms are stretched out …stretched …..stretched . ."
“The wound of the lance is low down on the left side. Yes, I say true, the left side, below the ribs, almost in the stomach. There are painters who represent the wound in the breast. It is a large, vertical opening. The steel went through from below upwards. The cross must have been very tall." "Oh, souls, souls! They do not see what they have cost Our Lord. They are judged and valued at a high price. When they want to break from the world, everything is lined up against them." "In a word, to whom much is given, much is demanded." Pere Lamy died on Tuesday, December 1st, 1931 at his friend Comte Paul Bivers house (the author of the book used for this article). 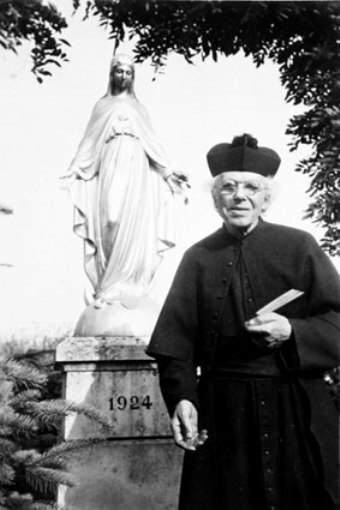 Here is a link to the French website of the Religious Congregation of the Servants of Jesus and Mary that Pere Lamy founded. There are many great photographs of Pere Lamy on this website. 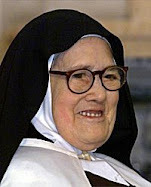 ~Pere Lamy, pray for us! 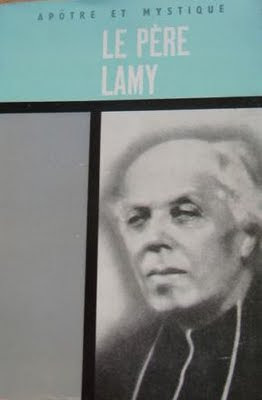 For some strange reason I had the shortest dream about 2005 :I woke up asking myself who Pierre Lamy was ,only to discover,via Google, it was a Pere Lamy. It led me to Rome for the canonization of St.Theodora whose house in Indiana was called Our Lady of the Woods. I also discovered a very well-written book on Pere Lamy by a lady, Helena Concannon, from my home town ( Galway, Eire). I passed that house many times during my youth not having a clue about Helena. As for Pere Lamy, he was a gem and a saint. 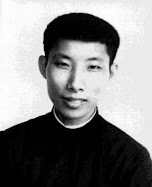 When will he be declared venerable? 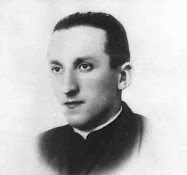 The Community tha Pere Lamy founded "The Serviteurs of Jesus and Mary" have certainly been active in putting forth Pere Lamy's cause for Beatification. Please someone pray for me. I'm in a hopeless situation for the past 9 years. I feel abandoned. It is a legal court situation and I have been praying for 9 years to no avail. There is a pre-trial scheduled for January 4th. I will pray for you and your intentions, that God's will may be done in your life. And, I pray that God may draw you ever closer to Himself. May the Sacred Heart of Jesus be your comfort and strength. I will pray for you, too, on January 4th. If I can, I will go to confession first, so that my prayers will be better. Hi my name is Gary .I am from India. Can you please send me the address of the official website of the Sanctuary of Our LAdy of Woodlands/Woods which was established by Fr.Pere Lamy.Because I did not find it from internet. You should definitely contact the Religious Congreagtion of the Servants of Jesus and Mary which is the Community that Pere Lamy founded, because they most definitely will have that information. I have the link to their website in the article above. Pere Lamy. My father lived his life in Ireland, having been sent there by Comte Biver for his safety during World War 2. My father was a fine architect, His name was Adrian Marin Pache. His forte was designing churches and schools. He did much work for the Dominican and Fransiscan orders.He was fortunate as a child to have met and been blessed by Pere Lamy. Having sent 3 posts all incomplete due to my own confusion with my laptop let me endevour to send a complete posting this time. My father was fostered my Comte Paul Biver, author and friend of Pere Lamy. My father lived his life in Ireland, having been sent there by Comte Biver for his safety during World War 2. My father was a fine architect, His name was Adrian Marin Pache. His forte was designing churches and schools. He did much work for the Dominican and Fransiscan orders and designed the Dominican church for example in Athy, revered for its modern design in 1965. 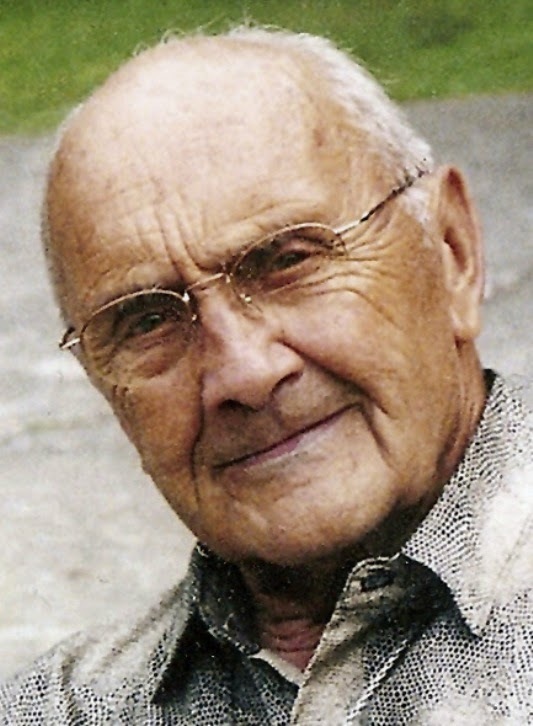 He was fortunate as a child to have met and been blessed by Pere Lamy and having lived around Comte Biver and the influence of him and Pere Lamy no doubt he remained a devout Catholic until his death in 1996. He recalled to me vaguely remembering sitting on Pere Lamys knee as a child. It is really wonderful to meet you. Thanks so much for sharing the information about your father and Compte (Count) Biver and Pere Lamy. I got the impression while reading Compte's book that he was a very admirable and virtous man. We can all certainly thank him for all the firsr hand information about Pere Lamy that he gave us in his book. And we know that Pere Lamy and Compte Biver were very close friends, and that Pere Lamy spent his last days in his house. Thanks once again for your kind message and may God bless you and yours! Sorry Glenn I left out the p in Compte everywhere. At home we only ever knew him in English and the Count. From my memory Compte Biver had two titles one which was blood line and the second which was bestowed upon him from the Pope at the time. He was a virtous man and a very holy man by all accounts. My father was looked after and afforded a very good education from Paul Biver. He was very fond of my father. As I said before I will endevour one day to research Compte Paul Biver and his relationship with Pere Lamy through leads that my mother Dorothy may remember and if I can find anything of interest I will post it. I know we have an edition of Compte Bivers book at home but I fear its in French so I have never had the luxury of reading it. I will one day buy an English copy and start my research from there. If you haven't yet read Compte Bivers book on Pere Lamy then you are in for quite a treat, as it is very inspiring and edifying. Also, at the beginning of the book there is a bit about the life of Compte Biver, so you will certainly appreciate that information, I am sure. Thanks again for your comments and may God bless you and yours! I very much appreciate your web site about the Mystics in our Catholic church. This needs greater publicity, as I imagine a "Catholic Wikipedia". I'll ask our Catholic radio to feature your work or the subjects of your work-not heard on the radio. Would you accept making two changes in the text about Pere Lamy? 1. The French word for count is spelled "comte", not "compte". 2. Pere Lamy helped soldiers in WWI, not WWII, since he died in 1931. Thank you for your kind comments and corrections. You are right on both accounts and I just made the corrections. And, thanks in advance for spreading the news about the website- all for the greater glory of God. he do Odor of Sanctity or not? That is a good question---I am not sure if Father Lamy was given the gift of the odor of sanctity or not. I don't recall reading that he was given that gift, but it is certainly possible. If I come across the answer I will certainly post it here. The Catholic Faith *is not* Bible interpretation ... it is the Catholic infallible Sources of Dogma (of the Pope in union with the Bishops of the world). The Catholic Church didn’t even define the Bible’s New Testament Canon until 397 A.D. at the Council of Carthage. Dear Pere Lamy, please intercede quickly for me to rid me of the anxiety thet plagues me. Amen. Don't feel the need to publish the post. I just want to draw your awareness to one of the above posts, which is heretical in places and very misleading. Dear Fr. 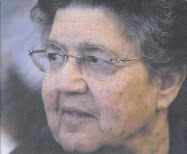 Lamy, Please pray for me, my children and my grandchildren. Thank you.